I’ve never been a Nintendo user. This legendary maker has always developed consoles and franchise games which always seemed childish to me. Too simplistic, too faithful to a type of games that no longer were what I was looking for. Too loyal to their heritage. I did my little experiment a few years ago with the Nintendo Wii, of course. I fell into the Wii fever like many millions of people did before (and after) and then realized that I had a brief, shallow interest in Wii Sports although I recognized the concept as brilliant to casual players. Although playing with family and friends was fun, most of the time one ended up playing alone, and then the thing was not so funny. I sold it a month later. Like many other Nintendo consoles before and like others that have been launched later, the Wii beat all its competitors in one area: originality. The products of this manufacturer have always managed to try to impose new trends and give a twist to those that already were there, and that is what they tried to do with an almost forgotten Wii U and what they are trying to do again with the new Nintendo Switch. Does this console make sense today? As you can guess, I’m too confident on that. The hybrid console concept may have certain appeal, but Switch does not compete here with the Xbox One or the PS4. It does not even try. It competes with our smartphones, and I’m afraid it has already lost that battle. It has because everybody already has a smartphone and because the human being is lazy by nature. You will not take two devices in the backpack when you can take just one. Even if you can take ‘The Legend of Zelda: Breath of the Wild’ everywhere, the competition with a smartphone it’s too tough: that device is ubiquous and versatile. You don’t need nothing else (most of the time). It doesn’t help the fact that we’be got a limited number of games available (by the way, we’ll see how FIFA delivers at the Switch) or that the price of the console is at the level of a PS4 / Xbox One which offer superior experiences on the technica side. This isn’t certainly a guarantee of better game experiences, but most of the games the vast majority of people want are developed for those platforms. That “me against all” fight of Nintendo makes third party titles difficult to spot. I’m sure there is a market for the Switch, but I would say that market has been dwarfing over the years. 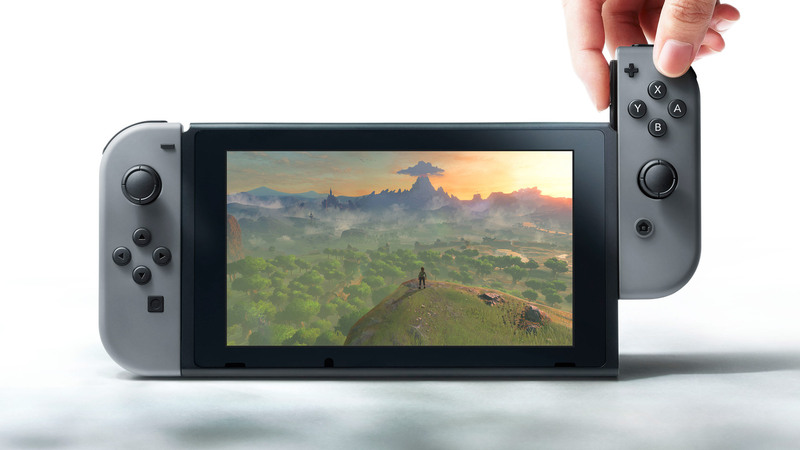 This looks more like a second (expensive) console than a main console for the vast majority of video game fans, and as I said a few months ago, I think Nintendo should accept its reality and take advantage of what it could do on smartphones with little effort. In Ars Technica they go further and claim that this is the last time that Nintendo rolls the dice to look for luck, and although it’s a pity to read and say that, I think they are right. It may be the swan song of a company that is cursed because of its obsessive quest for originality.